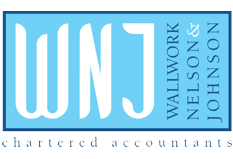 Copyright on www.wnj.co.uk and wnj.uk referred to as the “Sites” (including but not limited to textual script, photographs, computer graphics and software) is owned by or licensed to Wallwork Nelson & Johnson Chartered Accountants referred to herein as “WNJ”. All rights are hereby reserved by WNJ. Users may access content on the Sites solely for their own personal or non-commercial use. Users may not otherwise download or copy, store in any medium (including any other website), distribute, transmit, re-transmit, modify or show in public any part of the Sites without the prior written consent of WNJ except for authorised publication downloads made available on the Sites. WNJ acknowledges the copyright of 3rd party graphics content published on the Sites as the property of their respective designer and in no way chooses to infringe any copyright, trademark or other proprietary notices of the designer or any materials thereon.